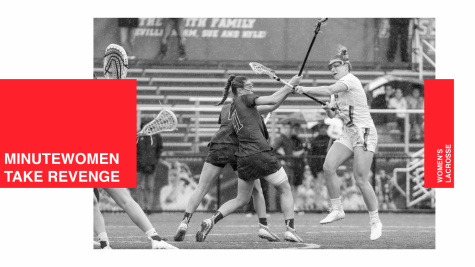 If the Massachusetts women’s lacrosse team has its way, history won’t repeat twice. The Minutewomen received a second chance against La Salle today after last Sunday’s nail-biting conclusion. 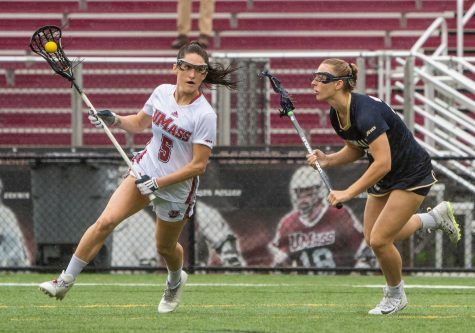 The game between UMass (8-8, 5-2 A-10) and La Salle went down to the wire as the Explorers scored its final and game-winning goal with two seconds left on the clock. Last week, the offense opened the game with a 3-0 run. The defense was there too, as swarms of Minutewomen players crowded the Explorer offense on multiple possessions. 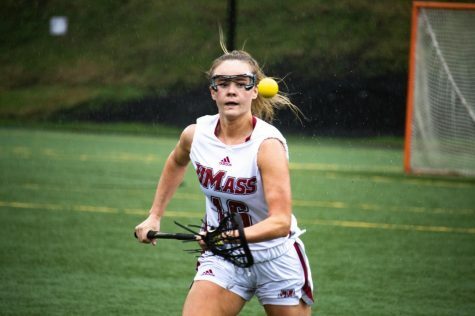 But as much as UMass knocked down its opponents, the Explorers kept fighting back, keeping the game within three points. It was a back-and-forth affair as both teams changed leads five times. Before the game, the Minutewomen were ranked first in the A-10, right above Richmond and the Explorers (9-6, 5-2 A-10). 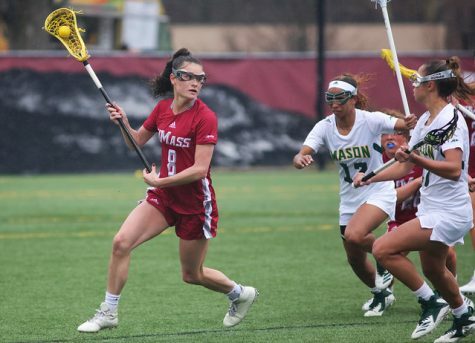 Between La Salle’s victory and the Spiders’ 18-9 drubbing over St. Bonaventure, UMass fell two spots to third place. The win by the Explorers bumped it up to second place, setting the stage for the rematch. 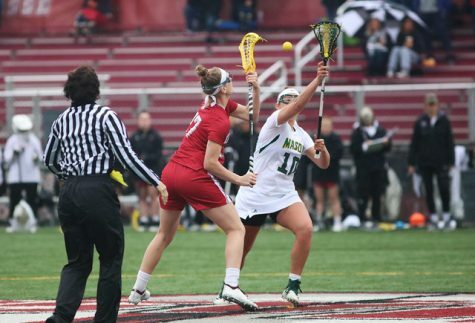 The Minutewomen were 11-0 against La Salle prior to last Sunday’s contest, which included a 17-2 victory in 2009. The Explorers are experiencing a turnaround since last season when they went 4-13 overall with one win coming from their A-10 schedule. 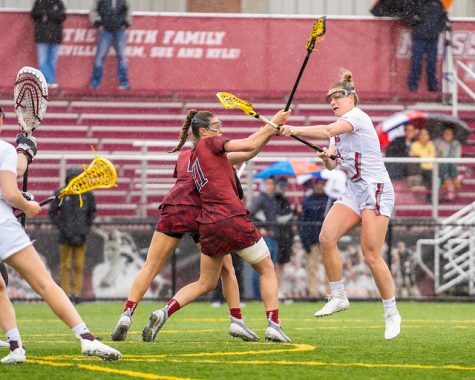 A possible disadvantage for UMass stems from the fact that the game happens to be in Pennsylvania, although distant from La Salle’s home field. 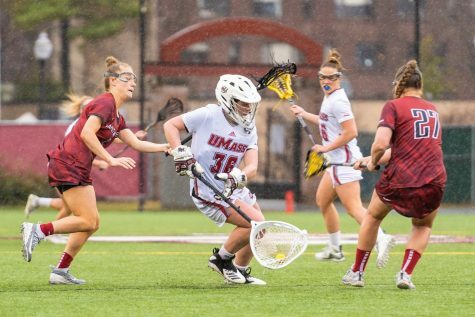 The last time UMass played on Rooney Field, it lost 12-10 to Duquesne in the Minutewomen’s first A-10 loss of the year. Jackie Lyons will look to lead the Minutewomen squad, as she competed in each of the past two championship berths. Lyons had two goals and three assists in last year’s opening game (game-high five points). The Rocky Point native also netted five goals and three assists. 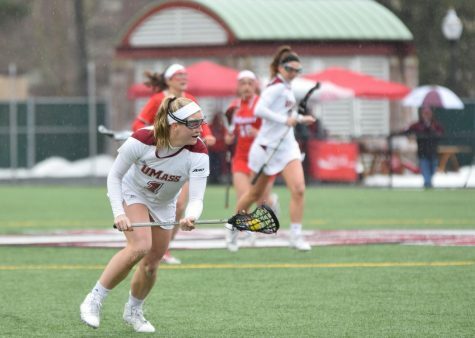 Lyons’s experience in UMass’ 14-13 double overtime victory will be a key asset for when it comes to the La Salle match. Goalkeeper Katie Florence played a critical role in the 2009 A-10 tournament as she earned a combined 18 saves throughout the two games. Florence had 11 saves alone against GW. Today’s game marks the third consecutive A-10 tournament appearance by UMass, with the first two including a berth to the championship game. Last year, the Minutewomen captured the A-10 Championship and earned a spot in the NCAA tournament. Both UMass and Richmond were present in last year’s tournament. The Minutewomen defeated George Washington, 12-9, en route to their placement in the championship game. Richmond failed to defeat Saint Joseph’s to qualify. 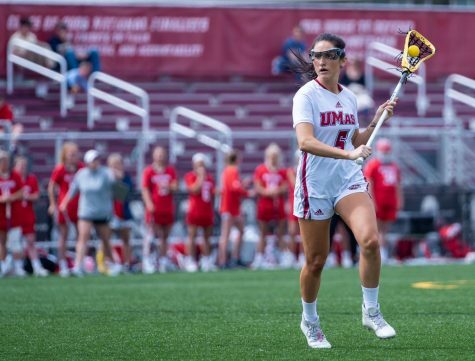 In the past two A-10 championship game appearances, UMass competed against teams from Pennsylvania. In 2008, the Owls ousted the Minutewomen, 10-3. 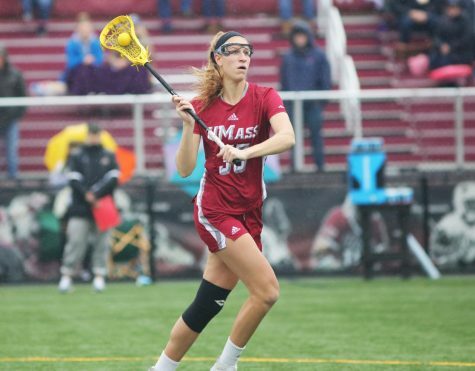 Last season, UMass defeated SJU, 15-14, in Philadelphia.